I would like to thank the publishers, Harper Collins, for sending me a copy of this book in return for an honest review. The town of Tate, Oregon is a town in mourning. Special Agent Ren Bryce has been called in to investigate the disappearance of twelve year old Caleb Vier. Already having lost two young boys in the months previous, in two very different circumstances, the town and it's residents are finding it hard to come to terms with the death of the children and now the disappearance of another. Three boys have suffered in three very different ways, but as Ren digs deeper she finds that maybe, just maybe, the three incidents could be related. But in order to get the truth, Ren has to dig deep into the town's secrets and the secrets of those living there. Will she be able to solve the mystery before any more victims are claimed? This is the first book that I have read by Alex Barclay but it won't be the last. Upon finishing this book, I wanted to head straight the nearest book shop and stock up on Alex's other books. To say that I loved this book is an understatement. I was sucked into the story from the very first page and found that the pages seemed to be turning themselves. I couldn't get enough of this story and the characters it contains. I kept finding myself saying 'one more chapter', but I could never just leave it at that, I had to keep reading and one very very late night later, I had finished the book and I was absolutely blown away by it. If you asked me this time last year, I would have said that I'm not into Crime Fiction, but when I read books like this one and I discover brilliant authors like Alex Barclay it's very hard not to become a fan of the genre. The Drowning Child is a fast paced book that kept me on the edge of my seat from start to finish, with a few nail biting senarios thrown in. Unpredictable until the very end, with lots of twists and turns thrown in along the way. As this is the first book that I have read by Alex, I have not met Ren's character before, but by the end of the book I wanted to be her friend. I loved her character and I am really looking forward to picking up some more books in this series and getting stuck in. The story itself flows beautifully. It was straight and to the point and I loved it for that. With so many books in this genre being slow starters, I loved that The Drowning Child got straight into the story. This the most unpredictable story that I have read in this genre to date and I wouldn't have seen the ending coming in a million years. The story is very cleverly executed and I loved how it changed from character to character. The thing I loved most about it is that we were able to see Ren's thoughts. I'm not sure if this is the way the other books in this series are written, but I thought it was a brilliant touch and really added to the story, especially as it allowed us to see what was happening at times without the author having to spell it out to the reader. Because of this we learned how a character reacted to what was happening through Ren's thoughts. Even though this is the sixth book with Ren in it, it can be read as a standalone also. 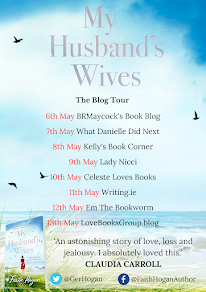 It is very easy to follow and will be highly enjoyable whether you have read the series or you are just picking up on the story here like I did. 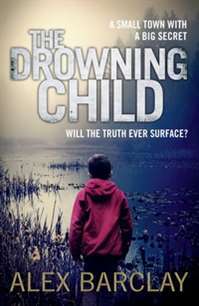 The Drowning Child is a fast paced book that will keep you on the edge of your seat. Brilliantly written, equally chilling and stunning and has the ability to make your blood run cold at times. I can't recommend it enough.